Valor Collegiate is a top performing charter school in Nashville, TN. Valor currently consists of two middle schools, Flagship Academy and Voyager Academy, each serving approximately 500, 5th - 8th grade students. As their students graduate from 8th grade, Valor plans on opening high schools as well. Valor’s mission is to empower its diverse community to live inspired, purposeful lives. SEL is one of the core anchors towards Valor’s mission. 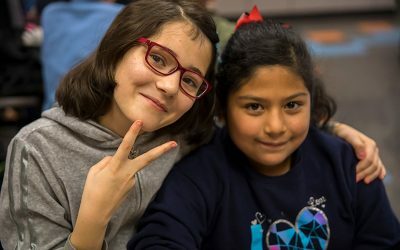 The SEL curriculum focuses on helping students grow as individuals, build safe and healthy relationships, and become positive members of their communities. 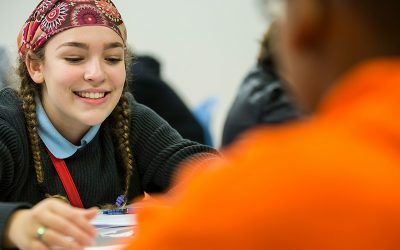 Students work through a self-directed, competency-based human development curriculum, based around the metaphor of developing a personal inner Compass, or wayfinding tool. The curriculum, called the Compass Phase System, includes a badging system and a communal practice called Circle. 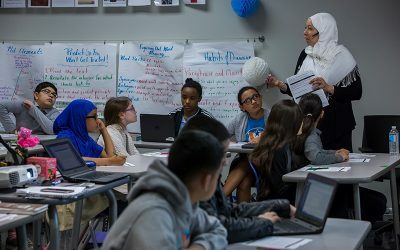 Valor is partnering with Transcend, an education nonprofit that accelerates innovation in school design, to further develop, codify, and share the Compass model. Valor incorporates blended learning in its approach to SEL and academics. 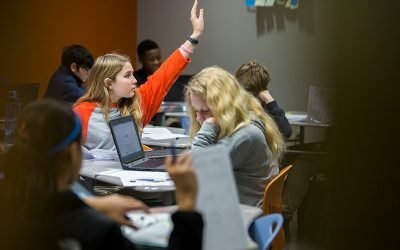 In math and ELA, Valor has created a “Content Focus” class, which provides students with an extra semester of exposure to each content area every year. 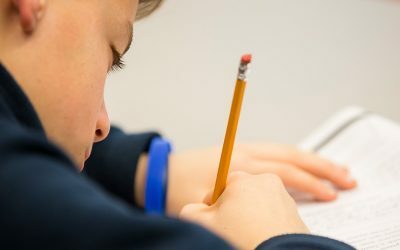 Some new content is introduced in the class, though at least half of the content is a review or extension of what they’ve learned in their primary content class. In math, students work through review content in playlists and teachers modify their instructional support based on formative, summative, and benchmark data. 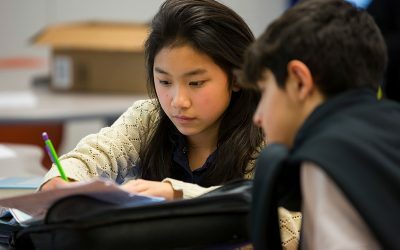 In SEL, student growth is competency-based as students develop at their own pace. Valor is in the process of migrating the Compass curriculum to a digital platform. 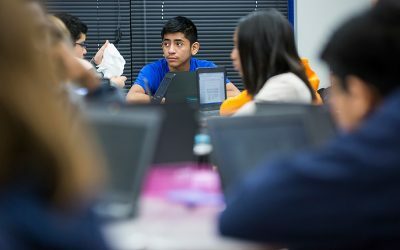 Students at Valor experience a unique instructional model focused on academic and personal growth. Student schedules generally consist of six, 55-minute content blocks divided among math, ELA, science, social studies, and enrichment. Students receive an additional semester of math and ELA content each year through their “Content Focus” class (Focus). The class starts with a few weeks of new material that is taught concurrently with the core content class. Using performance data from the start of the semester, in conjunction with data from benchmark assessments, teachers determine the areas of highest need in each subject and concentrate the rest of the Focus class on reviewing or extending these skills and standards. In each Focus class, students split time between a mini-lesson that involves direct instruction and partner work, and working through content playlists on their own (with possible help from partners). 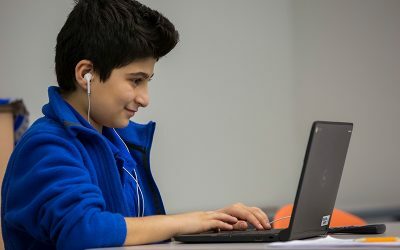 Playlists provide online content and resources for students to review and extend skills, as well as checks for understanding to help them assess their progress, which is monitored through their Playlist Trackers. This approach helps build student awareness of their academic strengths, while providing scaffolded supports for the highest areas of need. 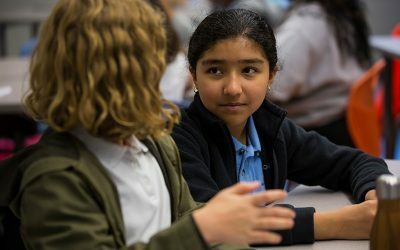 At the core of the Valor student experience is comprehensive student development, with a major focus on developing habits for social-emotional learning (SEL). 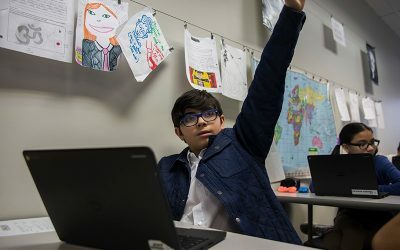 Valor has developed a human-development model and an accompanying self-directed, competency-based curriculum they call Compass. The model focuses on personal growth via the development of an inner Compass, developing interpersonal relationships, and community values. Students are placed in “Prides,” small groups of single-gendered students, that meet daily. 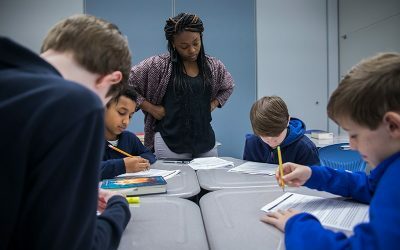 Each Pride has a leader, which serves as a mentor for students for at least two years, helping them “work the Compass” and grow as individuals. 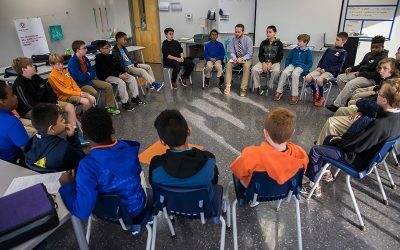 Students meet with their Prides once a week for a communal practice called Circle, during which time students share their progress on the Compass curriculum, their commitments to and appreciations for each other, and discuss any issues that their Pride community is facing. 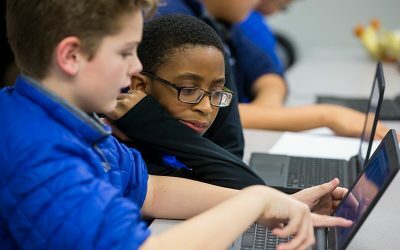 Valor students work on their Compass curriculum work during Pride time, Compass Class (an SEL-focused enrichment class that meets once a week), and outside of school. Teachers at Valor are central to the academic success, as well as the strong culture each school creates. Math teachers will often either teach the core subject or the Content Focus class each year. 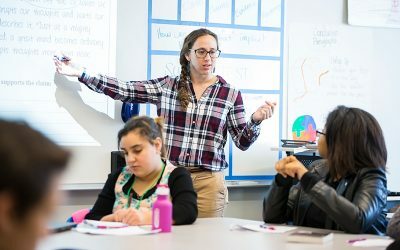 In the focus class, teachers follow a consistent pattern of splitting time between mini-lessons and individual asynchronous learning through playlists. 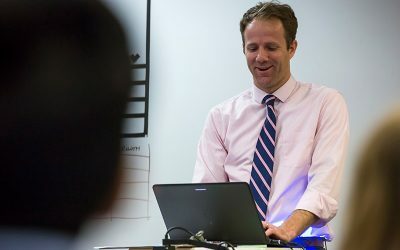 During the mini-lesson, teachers deliver a quick version of whole group instruction, often utilizing technology to better engage and monitor the entire class. Partner practice and exit tickets follow the mini-lesson, which enables the teacher to understand how well students understand the content and modify instruction the following day. 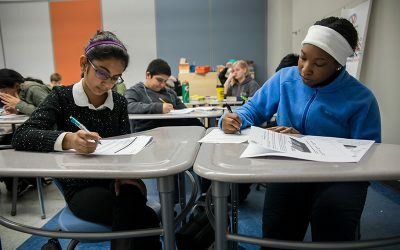 While students are working through playlists, teachers are able to provide more individualized support through one-on-one help and by pulling small groups. Valor teachers frequently analyze formative, summative, and benchmark data to best personalize instruction and support for their Content Focus students. Valor’s focus on social-emotional learning (SEL) is also a core part of a teacher’s role at Valor. 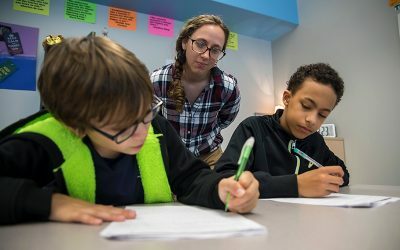 Teachers work with Prides, which are small groups of single-gendered students that form communities within the larger Valor school community. Teachers serve as mentors for their Prides, not only during daily Pride time, but also throughout the school day. Every Friday, teachers facilitate Circle, a communal practice that takes place with the entire Pride. Circle is an opportunity for students to share their individual growth through the Compass curriculum and commit to and act on relationship and community growth. Valor staff members also commit to their own SEL growth, working through a similar Compass curriculum as students and participating in a weekly faculty Circle. This not only helps them be better mentors and supports for students, but also contributes to a culture that supports diversity, inclusion, joy, and kindness throughout the entire school. Valor’s approach to learning is based heavily on relationships and community, which is present throughout content instruction. Students rely on each other for support and growth, both individually and interpersonally. This support system extends into content as well, as teachers create intentional student pairings and groupings based on academic needs. Technology at Valor is used to extend learning and create more high-quality interactions among individuals. Teachers make use of online resources (often free ones) to help students review content while they receive more individualized supports. Students also have the option of extending their learning beyond the school day by taking their Chromebooks home. Valor is also in the process of migrating the Compass curriculum to a digital platform. Blended learning at Valor is predominantly integrated during the math Content Focus class. 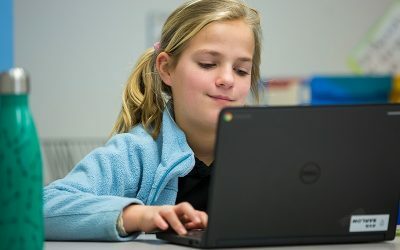 The class provides asynchronous learning through playlists and relies heavily on data to meet individual student learning needs, often through small group instruction and whole group mini lessons. 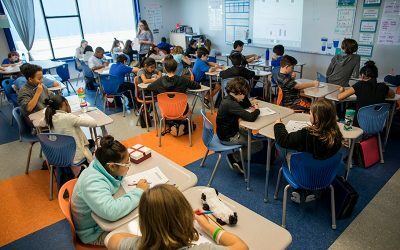 Teachers of the core content math class and the Content Focus math class continually coordinate to ensure the time in class is being best used to help students meet their learning goals. Valor relies on a variety of data sources to help personalize learning for students. Formative data, summative data, and benchmark data are all frequently used to monitor student progress and modify instructional supports. Teachers frequently analyze data during non-instructional time, and Valor has created a multitude of structured opportunities for teachers to work through data protocols together. Data regarding student progress on the Compass curriculum is also tracked and communicated to students regularly. Families are also informed of Compass progress through as part of students’ report card. Valor’s model is focused on personal development, both through social-emotional learning (SEL) and academic content. Their SEL approach allows teachers at Valor get to know their students well beyond their academic performance. This deep personal recognition of the many aspects of the student helps educators better align learning supports and resources to meet each student’s needs. 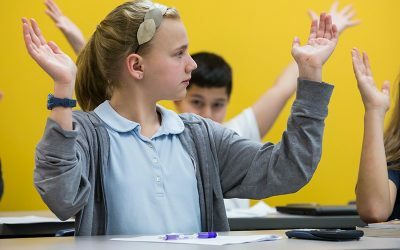 Students at Valor move through social-emotional learning (SEL) and math content based on mastery. Valor’s approach to SEL is through a competency-based human development model that outlines skills and goals for students, focusing on personal, interpersonal, and community growth. 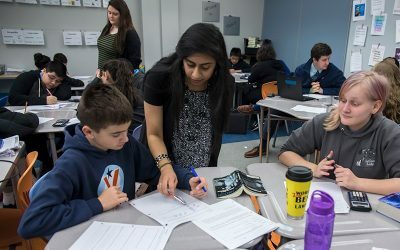 Valor also creates time in students’ schedules for reviewing math content, which relies heavily on playlists that students move through as they master content. Valor prioritizes supporting students academically and personally. To do so, Valor has created a social-emotional learning curriculum that is choice-based and is relevant to real-life student experiences. This curriculum is derived from knowledge and skills essential to building the 10 core, Compass Habits. Valor creates time throughout each instructional day for students to work on their personal Compass growth and for teachers to support them. Staffing and Roles: Valor staff is similar to that of most middle schools and is predominantly composed of content and elective teachers. Offering extended learning time in math and ELA, Valor hires additional teachers in these content areas to staff the Content Focus classes. Valor also hires a small number of teachers to lead Compass Class, an elective focused on social-emotional learning. Teacher Support - Teachers at Valor are given time throughout the day, week, and year to support blended and personalized practices. This time is often used for reviewing progress, modifying instruction, coordination between teachers, and deep dive analyses of student data. Coaches at Valor also support teachers, both individually and as a group (e.g., introducing student work protocols). Valor faculty also participate in social-emotional (SEL) learning and growth, helping them better serve their students and creating a stronger community within the school. 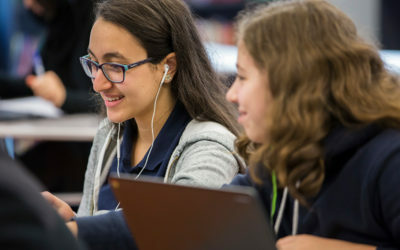 Devices - Valor’s approach to blended learning requires access to a learning device during content focus classes, as students work individually through asynchronous playlists. Valor provides a device to every student to meet this demand, as well as ensure equitable access to extended learning for all students. Content - Valor relies heavily on low cost and free digital resources for their blended learning work. They have also created a custom curriculum for students’ SEL learning and growth. 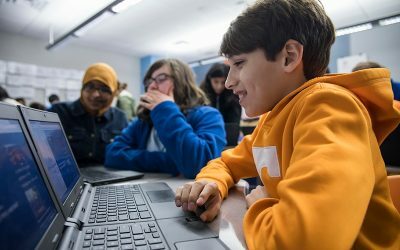 Broadband/Connectivity - Students must have adequate connectivity at all times. Communications - Valor has a strong commitment to communicating with the school community. Within the school, strong relationships between faculty and students create clear communications channels. Circle, a communal sharing activity, also provides students, faculty, and leadership opportunities to share information weekly, helping identify individual and common challenges. 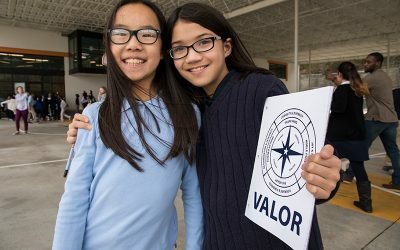 Outside the school, Valor commits to communication with family and the community through a variety of programs and resources (e.g., Pride Leaders). Resource Allocation - Valor's approach to education is built on getting to know students beyond academics, as well as promoting student growth through social-emotional learning (SEL). Valor dedicates significant resources to SEL. It repurposes time traditionally used in other ways for student and staff SEL, and builds staff capacity to deliver high quality social-emotional instruction and support through dedicated professional development time (one hour per week). 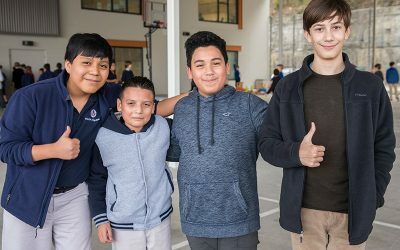 Diversity, Equity, and Inclusion - Valor believes that an intentionally diverse community can promote the social, emotional, and academic growth of its students. Commitment to Continuous Improvement - As part of Valor's partnership with Transcend, Valor is constantly engaged in research and development activities to further develop, test, and iterate on its model. Mini Lessons: Short, structured lessons that occur daily and are designed to fill knowledge gaps identified by analyzing student data. Playlists: Templates that organize key concepts students need to review from previous math instruction. Playlists are organized in a way that students are able to work through them on their own, and so that teachers can easily monitor progress and provide support as needed. Valor has also created their own curriculum for student social-emotional learning (SEL) and growth. 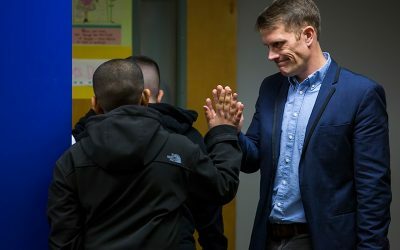 While creation of the SEL content and programs was a tremendous amount of work, Valor and Transcend are now partnering on building systems to help others integrate this work into their academic model. They have launched a website, Compass Open House, that provides organizing principles of their approach, as well as free and open resources related to the work. 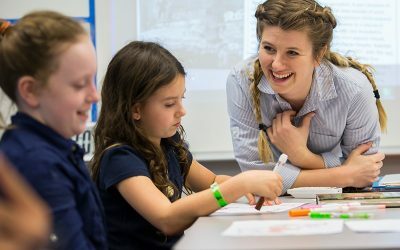 They have also created an SEL training program called Compass Camp, which provides more resources and supports for a small number of schools interested in adopting their approach. Compass Camp is currently in its pilot year.